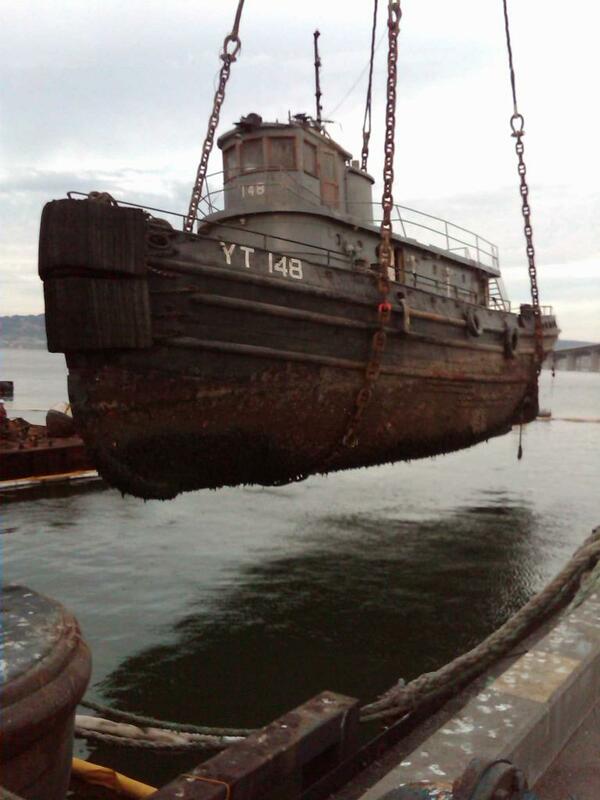 Historical Tug USS Wenonah - Global Diving & Salvage, Inc. 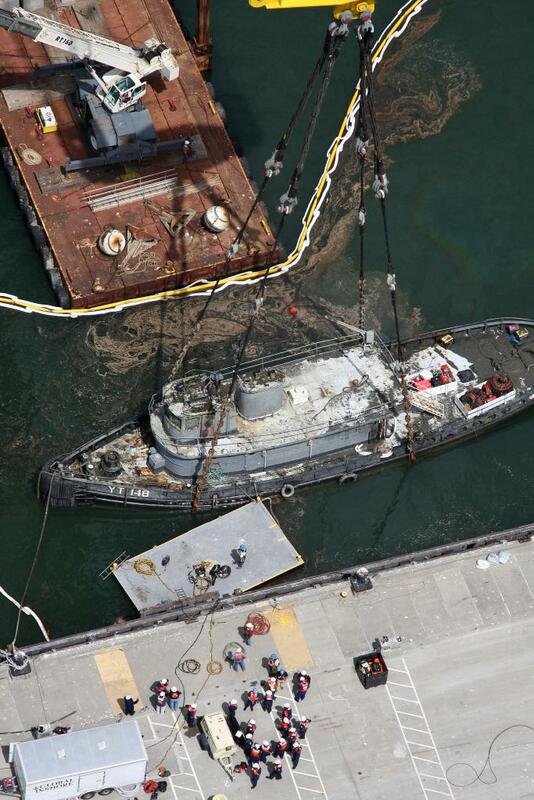 The vintage 100-foot World War II Tug, USS Wenonah, took on water and sank at her berth August 17, 2009 at Treasure Island in San Francisco Bay, creating an oil spill and a continued threat to the environment due to remaining hydrocarbons and other hazardous materials on board. 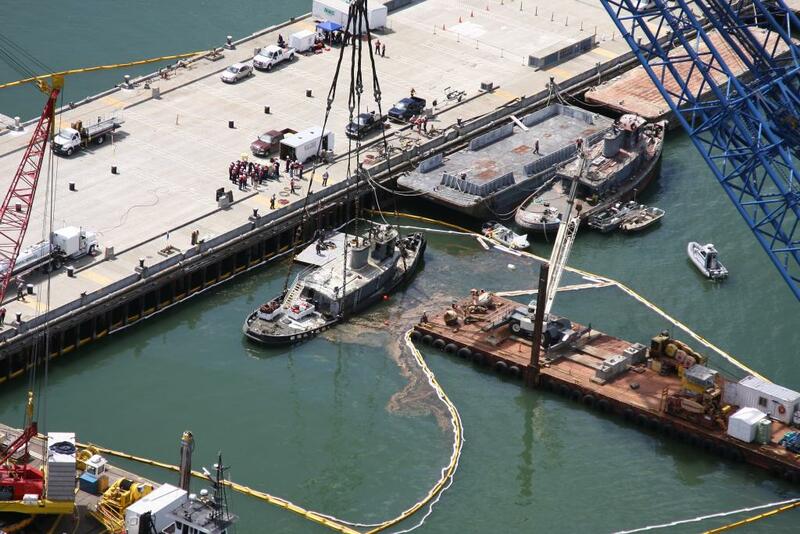 Global worked in conjunction with the U.S. Coast Guard Sector San Francisco, and the California Department of Fish and Game (Office of Spill Prevention and Response) to quickly recover the sunken vessel, mitigating further environmental damage. Global was contracted by the USCG and quickly dispatched a team from our office in Rio Vista, CA. Salvage specialists, divers and heavy rigging equipment arrived at the scene while naval architects calculated weights and analyzed the vessel’s strengths and lifting characteristics. Working in 30 feet of water, divers dug trenches in the thick mud and debris beneath the wreck and maneuvered heavy chains underneath it in preparation for lifting. 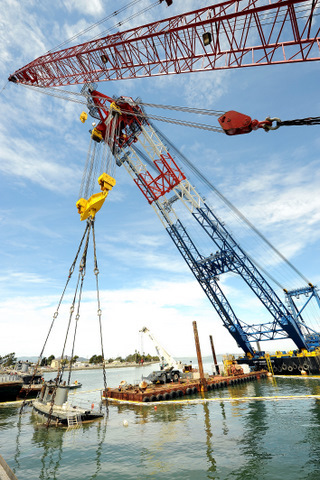 Global contracted with American Bridge/Fluor to acquire the services of the “Left Coast Lifter,” a shear-leg crane working in San Francisco Bay, to assist in re-floating the vessel. 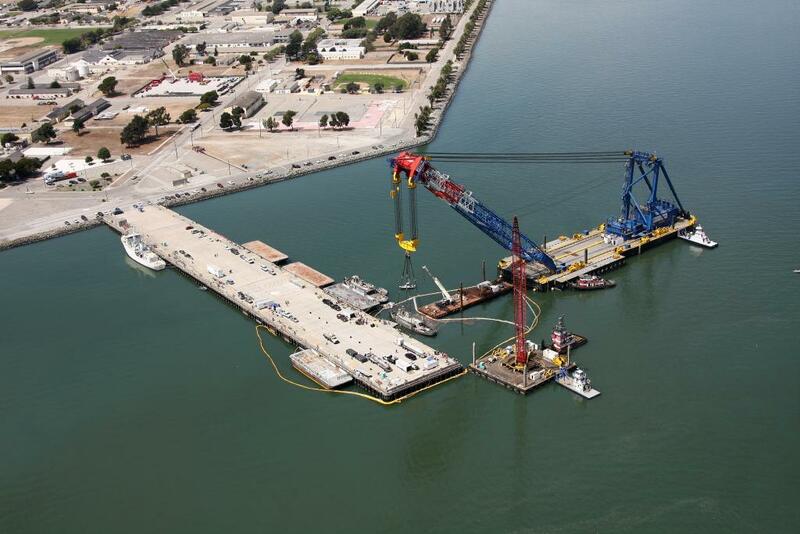 With a lifting capacity of 1,700 metric tons, the “Left Coast Lifter” is one of the largest floating cranes operating in the continental United States. 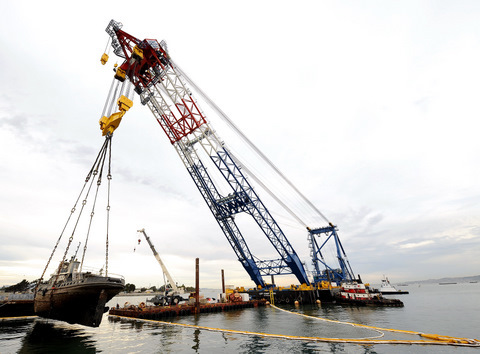 Global salvage crews attached the chains to the crane and quickly commenced lifting operations of the 440-metric ton vessel. The USCG Pacific Strike Team recognized a unique opportunity for training and boarded the vessel to dewater the hull under Global’s oversight while divers surveyed and patched the vessel.On August 31st, with the vessel back in her berth and safely afloat, we delivered the vessel to the USCG Sector San Francisco.